It is an indisputable fact that Star Wars is, first and foremost, a film franchise. But while the movies will always be the most important part of the galaxy far, far away, it should not be forgotten that it also encompasses countless tie-in novels, comics, toys, and (the part relevant to this article) video games. Beginning with a scrolling shooter based on The Empire Strikes Back released for the Atari 2600 in 1982, Star Wars games have been released in almost every genre you can imagine – from real-time strategy to first-person shooters to racing to ecosystem management (no, really). While the repercussions that the announcement of the sequel trilogy had for the Expanded Universe are by now well-known, we still have not yet seen the results of the video game license changing hands from LucasArts to Electronic Arts. That there will be significant differences is inevitable: much time has passed since the golden age of Star Wars video games, with only a handful of notable titles released after (what we had assumed was) the saga’s completion in 2005. The era of the expansion pack is over, and downloadable content (DLC) is now the order of the day. Demos, too, have gone the way of the dinosaur. Digital releases are the norm – and Steam the undisputed king among distributors. Popular new games have come, upended the status quo and redefined gamers’ expectations for entire genres, and gone. 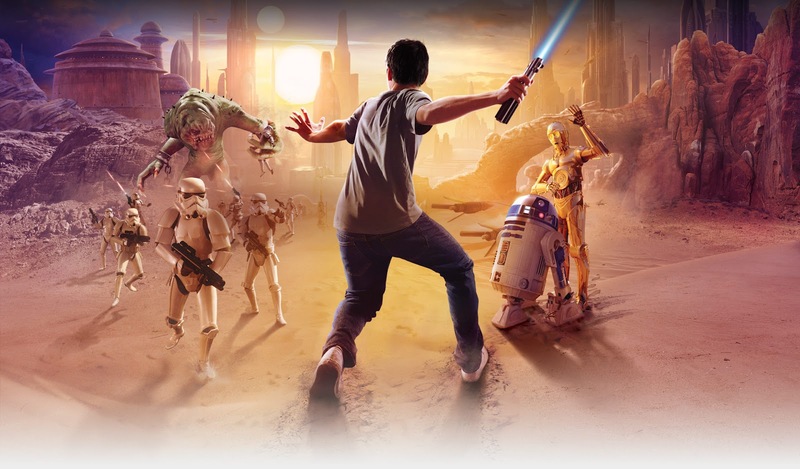 And so the question we now have to ask ourselves is this: what examples should Electronic Arts look to when developing new Star Wars games to ensure that they are as (and more) successful as their predecessors? As an entire profession of costume designers would be more than happy to tell you, how you dress your characters is just as important as what you script them to say. In some ways, perhaps even more important. There’s even an Academy Award for it (which A New Hope won in 1977, among numerous other accolades – the only science fiction film ever so honored, to the best of my recollection). Movies, television, video games, and comics are all extremely visual mediums by nature: unlike a novel, you can’t just let your audience’s imagination fill in the blanks. Every single detail, down the last button, has to be accounted for, all the more so if you’re dealing with a work of science fiction or fantasy. The more significant a role a character has, the more vital it is that you get their outfit just right. They’re your main selling point, after all: the face you’re going to plaster all over your comic covers, the costumes the stores are going to stock their shelves with come Halloween, the action figures that the children will clamor for when Christmas arrives. 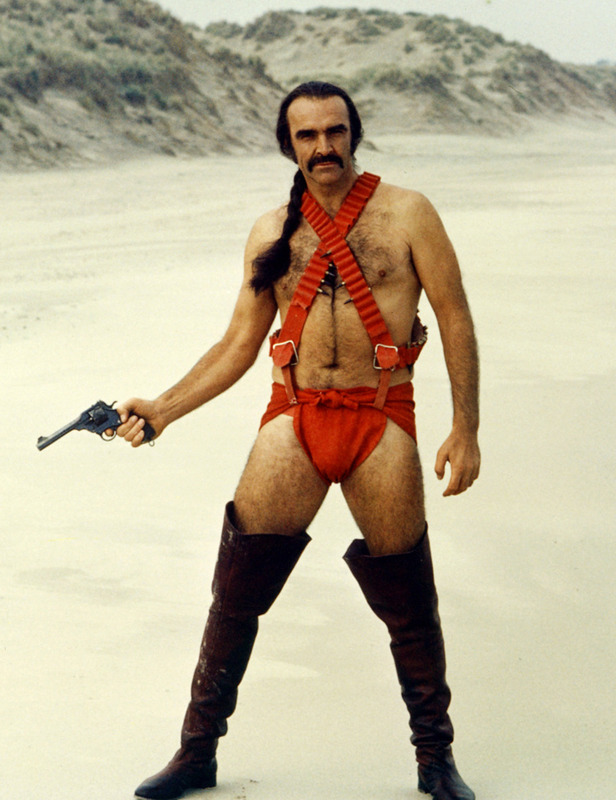 Get it wrong and, well, there’s a very good reason Zardoz didn’t become a franchise and comic book adaptations stopped using tights. In the wonderful world of fiction, you truly are what you wear. Nobody simply has poor taste in clothes, not when they have an entire costume department responsible for painstakingly dressing them, and concept artists and designers behind them who were hired specifically to design clothes layered with meaning and symbolism. But this process is not always an easy one, for when you’re dealing with a setting as far removed from our own time and place as Star Wars, the wardrobe department will find themselves facing an entirely new and unusual set of challenges. Most people have opinions about things. Many of them have also been known to share those opinions, be they positive or negative, particularly regarding whatever popular (or unpopular, as the case may be) work of fiction they have recently consumed. Living in the golden age of the internet and 24/7 unrestrained global communication, as we do now, it has become easier than ever before to broadcast and discuss our feelings, opinions, and thoughts on even the most seemingly insignificant aspects of a work to the rest of the world, and to engage in vigorous debates on a broad array of subjects with like- and unlike-minded individuals. This site itself is proof enough of that. But before we continue with this line of thought, it must be noted that there is much worthy of praise in this phenomenon. It serves as an effective bar raiser for the realm of entertainment as a whole: access to the internet has raised our expectations considerably with regard to technical and scientific plausibility (if not accuracy) in our fiction, among other things, and tired cliches are identified for what they are, labeled, categorized, pedantically indexed, and ultimately retired in an endless cycle of conceptual reinvention to keep things fresh and relevant for each new generation, until they’re eventually resurrected decades later in homage to and remakes of works of bygone times. More objectionable elements and works can find themselves subjected to scrutiny that they might have previously escaped, and can draw the widespread outcry and condemnation that they deserve. In Star Wars, even something as mundane as simply getting around is a visibly futuristic process. Cars are replaced with landspeeders that glide smoothly over even the roughest terrain without needing a single wheel to touch the nonexistent roads. Their governments must save a fortune on infrastructure upkeep. Skyhoppers and airspeeders are more like flying cars (or what flying cars would be like, if we had them) than planes, complete with being totaled by thrill-seeking young drivers. A speeder bike is something like a motorcycle, only about a dozen times faster, with no wheels, and an even worse safety record when it comes to crashing headlong into inconvenient obstacles like trees. Crossing the great void between the stars to new worlds is as simple as booking passage on a vessel headed in the right direction, the galaxy’s denizens having long ago circumvented that troublesome little matter of the light barrier that’s been keeping us from our round trip to Alpha Centauri all these years. With casual interstellar travel being so accessible to the general public, one can safely assume that travel time between cities or continents on the same world would be all but nonexistent in the vast majority of cases. War machines are regularly produced in bipedal and quadrupedal configurations and deployed to great effectiveness, despite the obvious limitations and weaknesses of the design. Clearly, someone has an extreme aversion to wheels and tank treads (to the disappointment of car chase enthusiasts everywhere). It’s easy to dismiss these things as being nothing more than irrelevant bits of background information and lore; the means by which our heroes hop, skip, and jump between their interstellar adventures. Flavor for something that would be otherwise stale, of interest only to the most overzealous of pedants. In fact, nothing could be further from the truth. 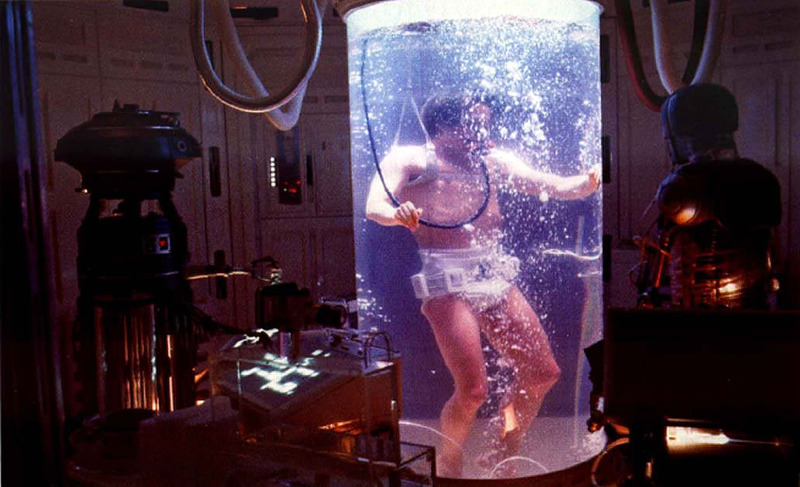 From a few brief scenes with a diapered Luke Skywalker floating in a tank of clear (later established to be blue) liquid came one of the franchise’s most enduring futuristic inventions: that mysterious, miraculous live-saving fluid we call bacta. In go the wounded, out come the hale and hearty. A universal cure for anything and everything that ails you. Incredibly convenient, without question, but also a rare instance in which we’re permitted a glimpse of a technology that is most decidedly not a straightforward science fiction counterpart to something from our own world. At least not yet, anyways. There are obvious questions that come to mind: where does it come from? How does it work? Who controls the supply? All valid questions at the moment, as their established answers have been washed away in the all-consuming deluge that is the big red button labeled “reboot.” So let’s ask a different question, instead. We’ve seen what bacta is capable of, so what else might they be able to do that we can’t?